It is difficult to imagine needing a lawyer when your life is running smoothly. Most assume that unless you have broken the law, are being sued or are separating from a spouse, there would be no need to consult with a Solicitor. However, it is a good habit to see your lawyer when things are going well. Perhaps you got a new promotion – you should celebrate by reviewing your Estate Plan with your lawyer. New baby? Time to review your Will for a guardianship clause. Purchasing a home? Your lawyer will be closing that deal. Buying or expanding a business? Yes, your lawyer should be involved. A lawyer should be a trusted member of your advice team during the good times so that he/she may protect you and your family when those bumps in the road come along. Racine Law puts you and your family first. We know each situation, individual and family is unique and should be treated as such. At Racine Law you are not only our client, you are our friend. You will not be rushed through like a number and you will not wait for hours in a waiting room. Our Mission is to provide superior service at a reasonable price. Racine Law’s real estate department undertakes residential and commercial sales, purchases, mortgages and refinances. We also act for Private Lenders securing mortgages on residential and commercial properties. We have expanded our expertise areas into severances, easements, and the weirds and wonderfuls of Real Estate Law. With Northumberland County having a vast amount of properties that remain in the old registry system due to problems with conversion, we pride ourselves on the ability to handle the complexities of this area of law. Planning for one's death is not exactly everyone’s top priority, however, it is an important step in life planning. Here at Racine Law, we take a pulse check on all of your assets, liabilities and responsibilities now and we also look to the future. We will review your goals and develop a plan which minimizes the risks to your family and loved ones with the use of legal documents, including Powers of Attorney for Property, Powers of Attorney for Personal Care and a Will. 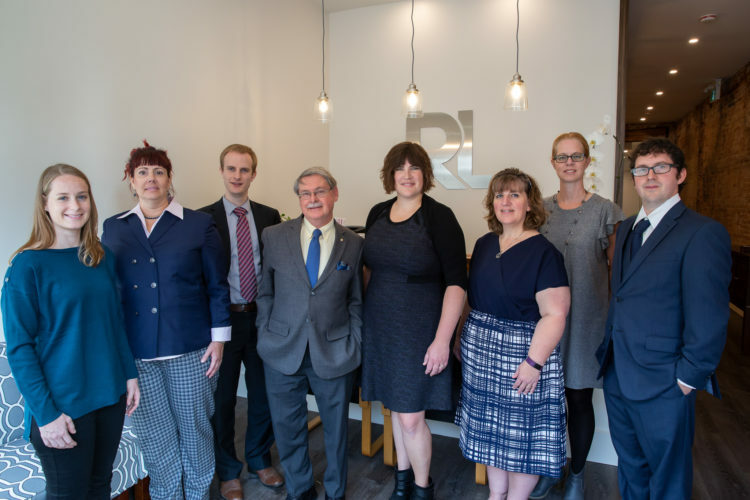 For a more in-depth look at your finances, goals and risks, Racine Law is affiliated with Racine Financial who can add further professional guidance into obtaining your business, financial and personal goals, all while protecting those closest to you. A Will is a legal document in which an individual expresses how their possessions and property are to be distributed upon their death. We take instructions from you on, naming your trustee(s) and how you would like your possessions distributed and who your trustee(s) will be. This is an important document to have at any stage of your life and should be reviewed whenever you experience a large life change, such as buying a house, having children, experiencing a separation or divorce. Reviewing this document frequently means that your wishes are up to date and your family can have piece of mind if something does arise. Power of attorney is a written authorization to represent or act on another's behalf in private affairs, business or other legal matters. Power of Attorney documents help to ensure that while you are incapacitated your wishes are being acted out on your behalf. When someone passes, it often falls on the estate trustee to settle an estate. Estate administration is the practice of collecting and managing a person's estate, paying taxes and debts and administering the remaining property to beneficiaries of the estate that are stated in a person's will. When you are named as an executor, it is probably the first or second time you have ever done this. At Racine Law, we are here to guide you through the process and will help you through this difficult and stressful time in your life. We recommended the use of a lawyer to get a Certificate of Appointment of Estate Trustee, formerly called “Probate”. Additionally, sometimes executors need to pass their accounts, and we can complete the required court forms and guide you through the process as your representative. Racine Law is please to be expanding into the field of Litigation. A paralegal has joined our ranks and will be offering Litigation services in the areas of Administrative Law (which include but are not limited to the Human Rights Tribunal, the Land Lord Tenant Board and the Land Use Boards) and Employment Law as well as any Real Estate adjacent services which are in her perview. These include dealing with any post-closing issues which may arise after a sale or a purchase of a residential or commercial transaction is completed. We are able to represent our private clients and corporate clients in civil disputes and in collection matters, with a limitation to the collection amount of $25,000.00. Whether you are starting, buying or managing a business it is good to have a lawyer to help you navigate you through provincial and federal regulations so you can focus on running your business. We advise our clients on business structure options and, along with your tax advisor, setting up the most efficient structure for your needs. On top of the setting up of your business, being lawyers, we also love nothing more than drafting contracts! Commercial Leases, Purchase Agreements, Employment Contracts, you name it, we have a contract for that! From updating your minute book on a yearly basis, creating both federal and provincial incorporations, drafting shareholder and purchase agreements, we can help you through building and expanding your business. associated with your land before you purchase it. These are questions that we can help to answer and resolve. Teamwork is at the very heart of our approach. We know our ability to meet your objectives hinge on everyone’s full cooperation. This is why we leverage not only just the skills of our lawyers and support staff, but also their versatility. Working together, we can plan and see through what matters most to you. ©2019 Racine Law. All rights reserved. | Child theme by SIU Design.